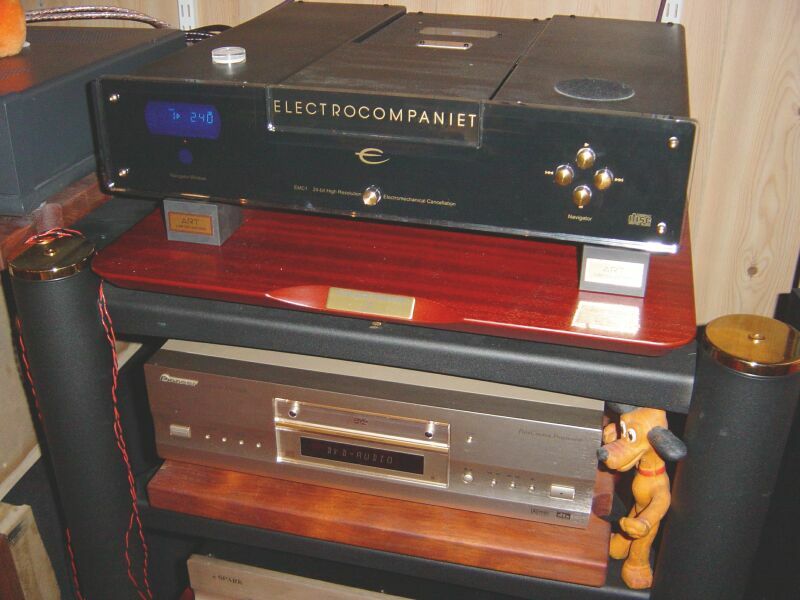 My Accuphase DP-77 does everyting much better than the old Electrocompaniet EMC-1. Unfortunately I could say, because after having experienced this, I simply had to buy it. 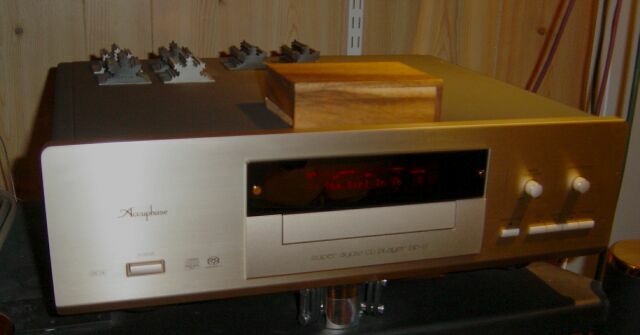 As a bonus it also plays SACD, but the main reason to buy the DP-77 is the way it plays CD's. 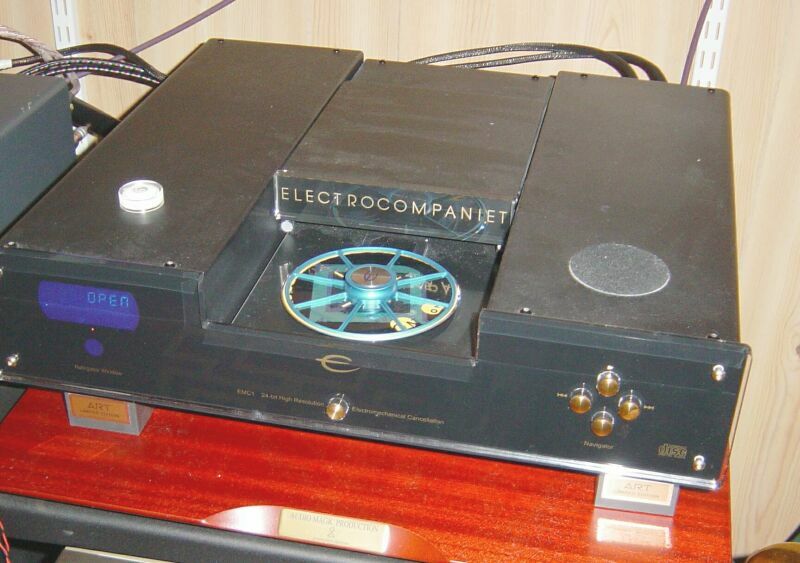 Forget about the "cheap" SACD and DVD-Audio players, this one makes ALL your CD's sound like high resolution heaven. The latest upgrade to the EMC is the "Spider". Here in the metallic blue finish. Comes in a lot of different colours! It basically is a bigger record puck which press down on the entire surface of the CD. Much better than the old one! Detail of the "suspension". The 20 kgs of the EMC-1 rests on little hardwood platters with a ball bearing inserted between them. These have been made by a friend of mine and the system works out very fine. 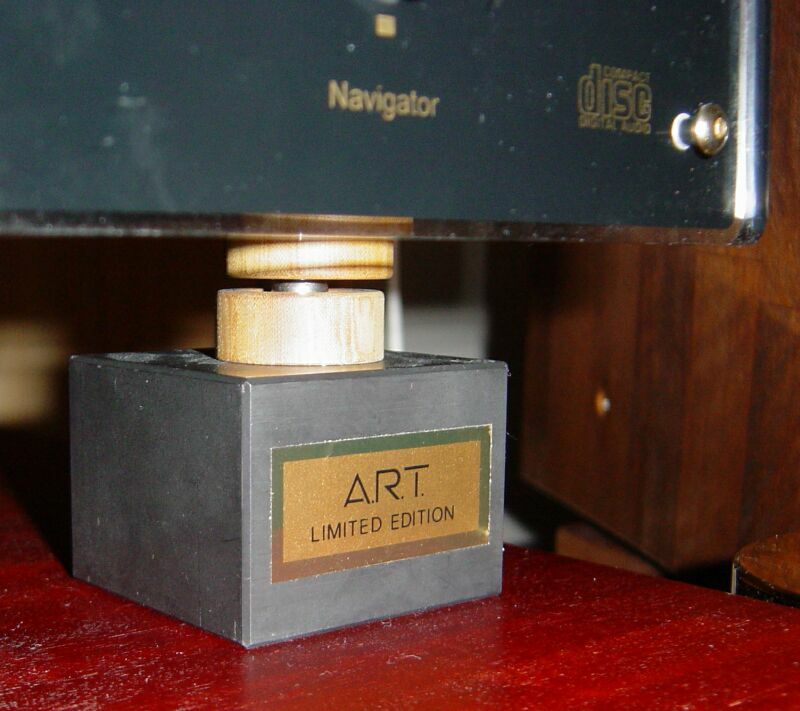 It give a nice floating feeling to the CD-player. Underneath the ball-bearings I use the ART-coustic carbonfiber blocks.